Unlike other over-priced, sub-standard herb and spice grinders on the market, our manufacturing process ensures that our grinders are made from stronger and more durable materials than their competition. We promise that our grinder is the most economical, long lasting herb and spice grinder you will ever own. First, I love the shining rainbow color. This is a medium size with four section for chopping and grinding. Like buying fresh herbs to chop by using this grinder the herbs come out chop/grind nice. Comes with a small scrapper to help get herbs outs. This no cheap grinder. This is heavy. Easy to clean after use. The kaleidoscope of colors on this Titanium Herb Grinder is amazing. Just so beautiful. Beyond that initial wow is a wow because this herb grinder works wonders. I did have a difficult time twisting but that may have been user error. My husband twisted the grinder easily. Once opened, the herbs we had weaved through the top (not all of them, though) were now ground up in to very usable and storable flakes. There was a nice aroma too. We used thyme and added it to chicken noodle soup. The only thing that would be a plus is a small instruction sheet. I may be in the minority but I've never used an herb grinder until now and I wasn't completely sure what each level (there's a top which is obvious), a middle, and a bottom. This Titanium Herb Grinder is great. Definitely worth buying. I can't wait to use it again. Grinder works well for small amounts of herbs . It works very well . Easy to use and easy to clean . I ground up hibiscus for tea . Really was better than I thought it would be. The teeth are sharp and it only takes seconds to grind your herbs. Magnet is strong enough to keep the lid on upside down. Grinds to a nice consistency and feels like a quality product . 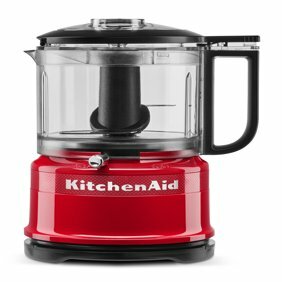 Very unique, fun kitchen gadget. Definitely a conversation starter! Unscrew top, place herb, grind. Your herbs will be ground onto the sifting plate. With the tiny pieces at the very bottom. Grinding mechanism is smooth. Makes a perfect gift for the hard to shop for cook in your family or the herb gardener. Love grinding up fresh herbs with this ! It is perfect for the kitchen. Not too big so perfect to save drawer space. Looks so cute too! Makes cooking fun! Highly recommended. When I ordered this grinder I thought it was for peppercorn and allspice. It is compact and good for the RV when we traveled. As absolutely no instructions came with it. I had to go online for directions. It is an herb grinder. I had some dill weed and tried it in the grinder. It did a very nice job of making the herb almost powder. If you like to grind your own herbs you will enjoy this little jewel. I have an herb garden and dry my own thyme, rosemary, dill, mint, and chives. When they are completely dried out, I store them in containers and use them in recipes throughout the year. This titanium herb grinder works well to grind up my dry herbs but not so well on herbs that are fresh from the garden. They really need to be dry, otherwise they stick to the grinding teeth. This medium sized grinder is not quite 2 inches in diameter so it's a good size if you're only needing to grind a smaller amount. The grinder itself seems to be of excellent quality (titanium) and has 4 sections to it (see pictures for details). I'm looking forward to using this throughout the winter season for recipes that call for herbs. I chose to review this herb grinder as part of the Spark Reviewer program. I usually will buy herbs and spices already ground, but I thought it might be nice to try grinding some myself. This is definitely a handy little tool. It comes in 4 pieces - the top and middle grinder pieces, a piece with mesh for filtering, and the bottom piece. It's made of heavyweight titanium. It also comes with a tiny spatula tool. I don't use it a lot because I'm more comfortable buying spices already ground, but it is definitely something handy to have in the cabinet. It's small too which makes it easy to store! This herb grinder is compact, so it fits well in a drawer. The purple iridescent color is pretty. I ground some dried dill in this and it came out nicely. The grinder comes with a small brush to help get the powder out from inside. I would recommend this product to someone who needs to grind only a small amount of an herb, such as for a recipe. Would not be feasible for a large amount of herb grinding. Let me start off by saying that I've never owned or used an herb grinder, so this review is as a total newbie. Cons: I took off one star because it came with NO instructions. NO packing instructions either. Just a tiny object in clear plastic. I had to enlist a friend to show me how to use it. Pros: The teeth are sharp. I counted them. It may not be exact, but 25 is what I came up with. Titanium is a strong metal. Should last. The first 2 layers with the teeth are magnetic, which really helps a lot. I don't know what to call some of the pieces bc there were no directions. The 3rd layer is a tiny screen. Think like panning for gold. Teeny tiny gold. The bottom layer catches the ground-up herbs. This turns out to be a funny conversation starter, because visitors to your kitchen will share stories about their favorite “herb.” TMI The 5th piece is a tiny scraper.